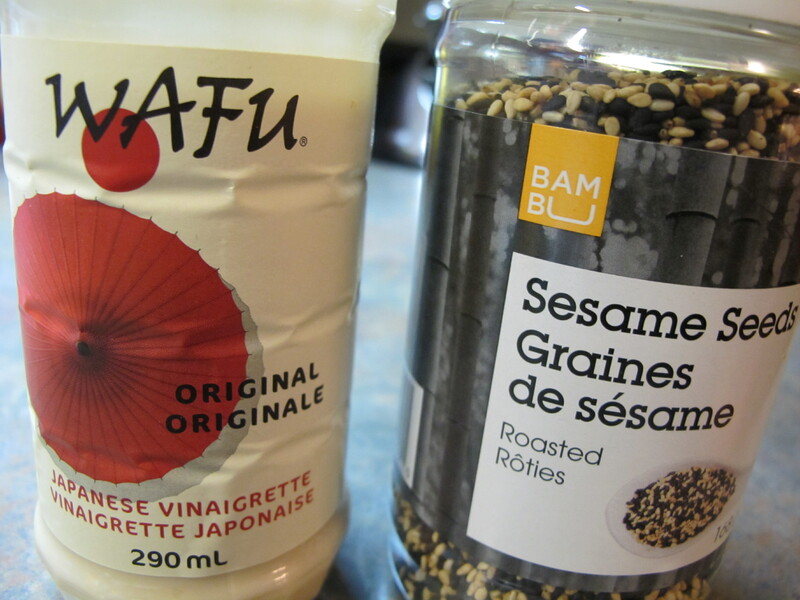 A few years back, I was obsessed by a salad dressing that was served at one of my favorite sushi restaurants. Everytime I would ask the waitress what was in it, she would giggle behind her braces and say:”oh, secret recipe, cannot say“. Little did I know that the dressing was actually from a bottle, and it was called Wafu. I luckily stumbled upon this dressing a few years back, and for those of you who are familiar with Sushi Shop, they serve this sauce with their spring maki’s. 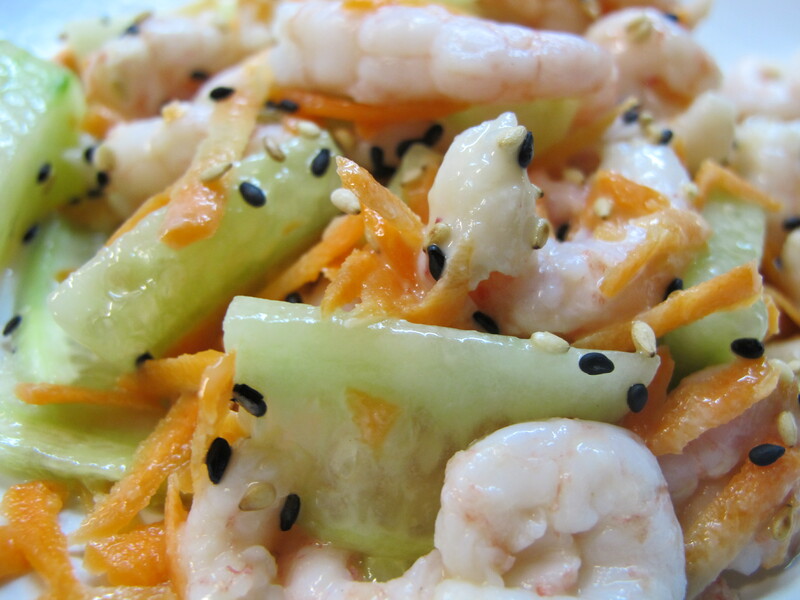 So here’s a fresh, summery salad that is inspired by their Shrimp spring maki and it’s a whole bunch of yummyness! Toss it all together and voilà!